Storytelling, tiny press and zine swap. 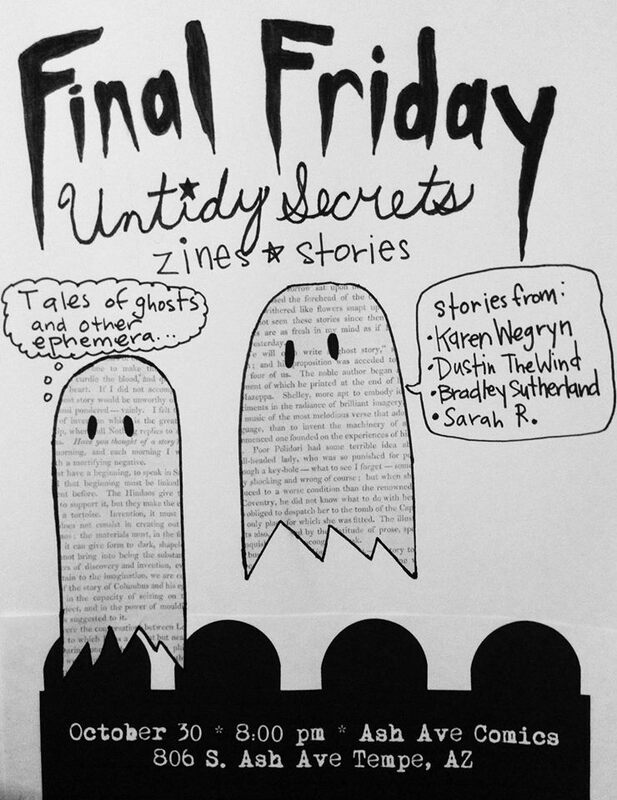 Buy, sell, trade your zines and other stories. Friday, October 30th at 8:00 PM at Ash Ave Comics. Located at 806 S. Ash Ave in the MAFW. This is an all ages event. BYOB.